Conclusions from Death and the Penguin? Kiev is chilly, you can buy almost anything with the right amount of cash, and people care more about cute animals than people. 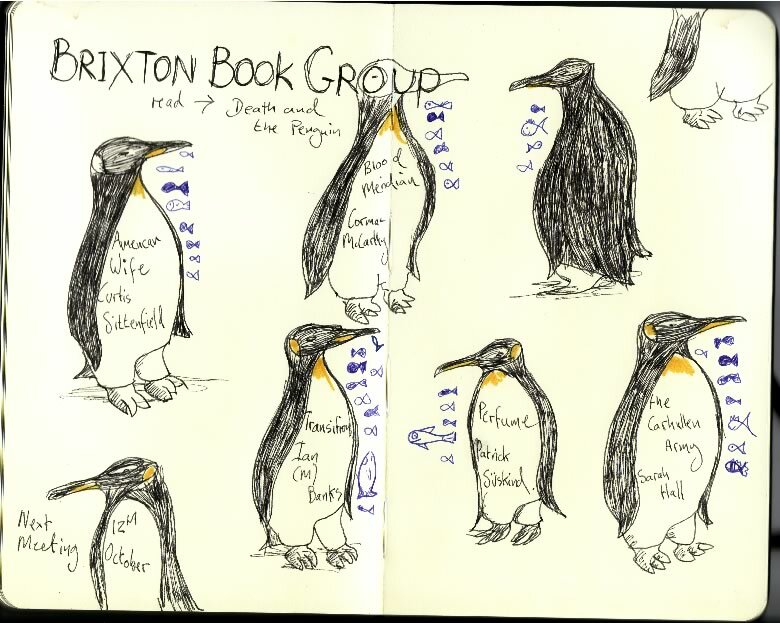 Even the penguin who didn’t represent a book got fish. Next meeting is on Wednesday 12th of October in Mango Landin so you have plenty of time to get reading! Runners up were: American Wife , Blood Meridian: or The Evening Redness in the West , Perfume: The Story of a Murderer and The Carhullan Army .